The Ultimate 5 Reason Why Your Need Instagram. >> The Ultimate 5 Reason Why Your Need Instagram. These days, consumers tend to judge a business’ credibility based on their presence or absence from social media. But which social platforms are truly worth the time and the effort that it takes to be successful? Today we’re focusing on an incredibly popular and powerful platform where many businesses are enjoying numerous benefits. Let’s give it up for Facebook’s younger, faster growing, and arguably prettier sister, Instagram. 1. Instagram has the most engaged audience. In terms of overall popularity, Facebook still wears the pants in the social media world. But social media is ever-evolving and statistics prove that Instagram’s users are indeed much more engaged and impressionable than any other social media platforms. What does this mean exactly? Recent reports indicate that Instagram has 58 times more engagement per follower than Facebook. Studies also show that Facebook users tend to shy away from advertisements much more frequently than Instagram’s users: 32% of Facebook users regularly engage with brands, while 68% of Instagram users do. These high engagement rates make Instagram an absolute heaven for businesses looking to engage consumers. Newsfeeds on Instagram are often comparable to art galleries. It’s no secret that this social platform is filled with an abundance of colorful, high quality, fun, and visually appealing photos and videos. 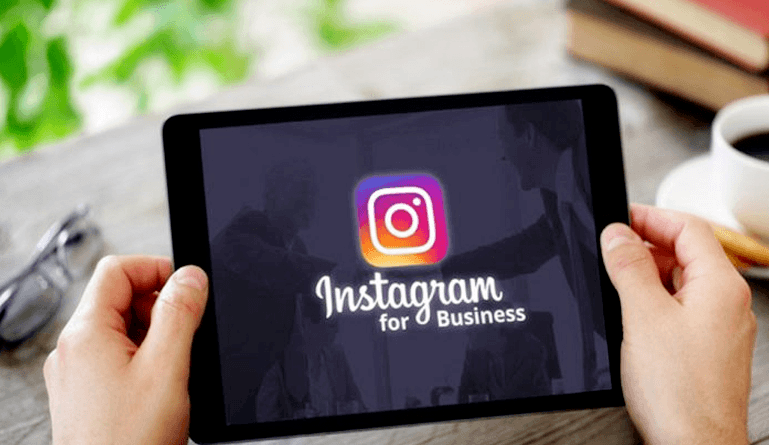 Businesses can jump on the creative bandwagon by using Instagram to promote their products and services. You can also show behind-the-scenes glimpses of their company’s daily workings, and give followers exclusive tastes of their company culture. An Instagram story is a unique feature that allows users to post customizable photos or videos that vanish after 24 hours. These stories are prominently displayed atop a user’s main newsfeed. Stories offer even more creative elements, such as drawing and writing tools, augmented reality filter options, and the ability to include locations, hashtags, and mentions of other users. More recently, Instagram has added the ability to have “featured stories.” These can be hosted on a business’ profile and are able to be viewed once the initial 24-hour period ends. There are limitless business benefits to Instagram stories! They are great places to showcase behind-the-scenes “footage,” as well as fun, timely content that is sure to get noticed. Similar to Facebook, business accounts on Instagram have the option of paying to promote their content. This practice is very beneficial, especially considering the above statistics that demonstrate how receptive Instagram’s audience is to these types of advertisements. Another benefit to advertising on Instagram is that the ads are capable of being highly targeted based on a user’s location, age, gender or interests. Businesses can also include links in their promoted posts, enabling users to click to learn more about them. Businesses are also able to feature ads in their stories. 5. Instagram provides useful analytics. Measuring success on Instagram is quite simple. Of course, businesses can monitor their follower count and overall engagements activities, like views and clicks. But taking it a step further, built-in analytic reports help businesses easily interpret the results of their Instagram advertising campaigns. Useful analytics like these help businesses quickly identify which types of Instagram posts work best, setting them up for sustained success. Hopefully this list helps your business decide if adding this social platform or becoming more active on it! Want to learn more about optimizing other social media platforms for business growth and success? Follow our page.